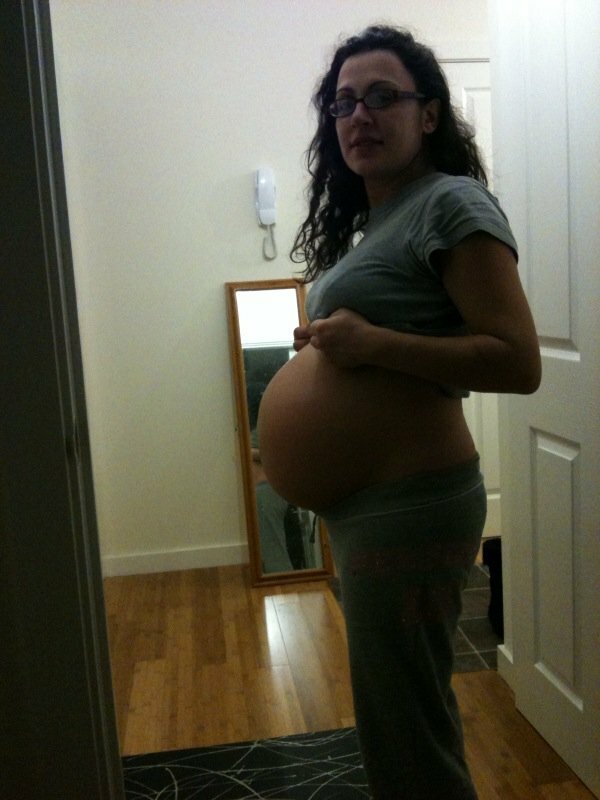 37 weeks pregnant – Boxer is full term! 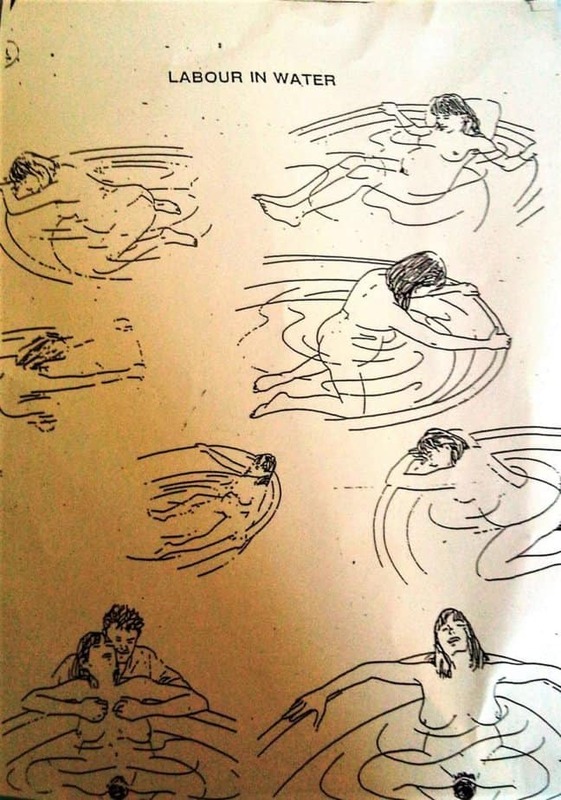 Hubby and I attended a water birth session with hubby at my local birth centre. We watched a very graphic DVD of a woman giving birth in a birthing pool with no pain relief at all. It looked like she was in a lot of pain as the baby was crowning away in full glory (which we saw by the way!) I do have to admit, the woman in the DVD was pretty strong to give birth with no pain relief but the midwife said that it’s more possible than we think to give birth without using any pain medication. She didn’t have any pain relief when she gave birth to her two children and seemed very anti-epidural, claiming that it gave rise to other implications, i.e. you are less likely to push effectively etc. The woman sitting next to me at the session said that she had a water birth at the birth centre and she didn’t think the pain was as bad as she thought it would be. She had heard loads of horror stories from her friends and went into labour thinking the absolute worst. She also said that she didn’t tear and found that the ability to deliver her own baby felt like she was more in control, thus found the whole process more relaxing. I felt so reassured and was completely sold on the idea of a water birth, especially as I love water. The midwife gave us a sheet on the various positions that we should think about getting into during labour to aid an easy birth. It was quite graphic and I was surprised to see so many different positions that you could be in! Look away now if you’re squeamish! In the evening we met up with the couples from our NCT class for a secret Santa dinner at Pizza Express. I was famished so enjoyed a nice three-course meal, complete with dessert. 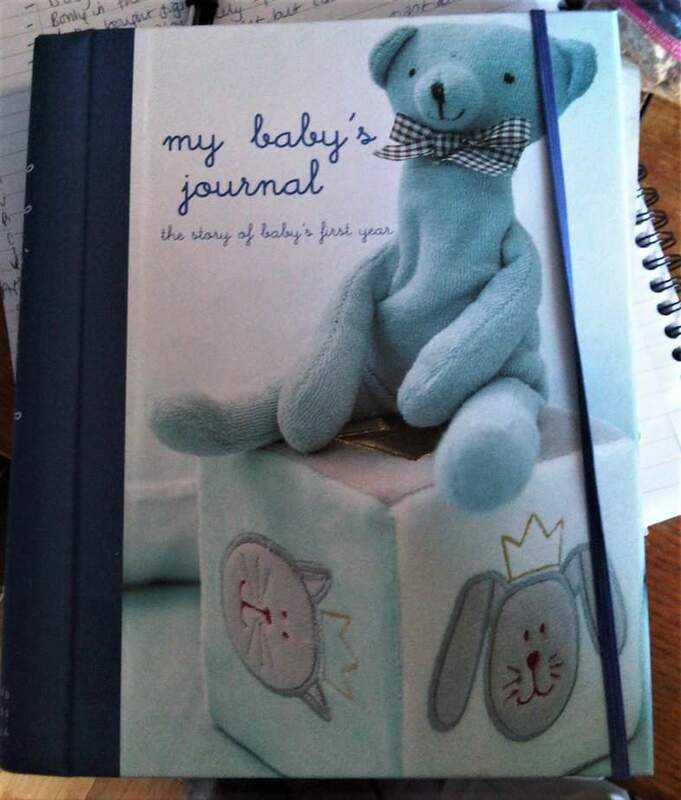 Hubby and I received an amazing Christmas present – a journal of our baby’s first year, so we can record all of our baby’s events. I love journals and diaries so this was a perfect present for me. Hubby and I bought one of the couples a healthcare set as we had bought one for ourselves and I think that it’s quite useful to have a healthcare set, at least for the first year. During dinner one of the ladies told me about a woman she had met in the toilet who was pregnant with her second child and she was really tiny in size. Apparently, the woman had put on 35 kilos when she was pregnant with her first child but lost it all because she breastfed for 16 months. That sounds amazing! I want to breastfeed for at least two years, so I’m hoping I will lose all the weight and become skinny too because I am definitely not skinny right now! I’m not doing much exercise at the moment. In fact, I’m actually acting like a big a lump at home, sitting down and typing all day. I met my neighbour who lives opposite to us and she has a 9-week old baby. We discussed our pregnancies and her birth and she told me that she had a really long labour, but she didn’t tear because she aimed at panting before she pushed the baby out. Another confirmation that panting works! She did say that she reckoned the lack of exercise during her pregnancy contributed to the long labour, so I’m going to aim to walk a lot more now. She’s really nice and offered me lots of advice. We definitely have to meet up for coffees (after the pregnancy) and talk about mummy stuff from now on. A fun fact – The baby is now full term! Yay! Your baby is now considered full term and weighs around 3 to 4kg now. Your baby is ready to be born and in a few weeks time you’ll get to meet them finally! Your baby will move further down into the pelvis and ‘engage’. You might be feeling your baby bearing down now, so you will probably start to feel increased pressure in your lower belly, especially if this is your first baby. Make sure you’ve got your hospital bag packed and ready as your baby can arrive any day now!